The 3 and 7 flights are on the menu, so I you can order them even as a walk in. I wish I had more details on the drinks themselves, I know at least one round was paired with a bite of the pork belly and one cocktail was a rhubarb cocktail. I went a la carte as I wanted to try specific drinks and also didn't want to get too sloppy to enjoy the dining experience at Next. I probably would do a tasting flight my next time in, just to check it out. OK, it's been a while now. Some of the hype has died down a bit. Any recent ... what is the drinking equivalent of diners? Drinkers? Any recent drinkers have updates on crowds, lines, etc.? New drinks added, old drinks gone? General observations? Went two weeks ago Wednesday with a group of 5. I requested and got a 6:00 P.M. reservation because I didn't feel like waiting, but we certainly didn't need it. The only other reso's were a pair who were doing the kitchen menu tasting (I assume, because they were let in before anyone else and I didn't see them for the rest of the evening), and a group of 6 who were letting anyone who made eye contact with them know that they were eating at the kitchen table at Next, but I digress! There were probably another dozen or so people in line without reservations so no one waited right at 6. We left a little before 9 and the place was only about 1/5th full, although it seemed like a few couples were coming in throughout the evening to have a drink and leaving immediately, most likely to go to Next, although they didn't walk through the restaurant but left out the front door so I'm just speculating (Hopefully you can tell I'm a people watcher at this point ). The general consensus was that the drinks were interesting and different but just "good". No one seemed blown away except me. Maybe I just went with the wrong people. I had the In the Rocks, White Russian, and Root Beer and enjoyed them all. Root Beer was probably the weakest since, by the time the vanilla ice cubes begin to melt, they drink is way too vanilla-y. As for the bites, totally not worth it. They were good, but the foie bite is $6 and it's the size of a nickel. No thanks. We tried at least one of everything except the cheesecake, and the favorites were pork belly, chowder, and... brioche? If every bite was $3 as they were originally, I would be more inclined to order them again. Thinking of going tonight at 6 pm...it sounds like we probably shouldn't have to wait, but any recent experiences with line lengths? To answer my own question: We arrived sometime between 6:30 and 7 and left after 8 pm last night (a Sunday). There was no line or wait when we arrived and tables were still available when we left. I think our consensus was that we enjoyed ourselves, but weren't wowed by the experience. It might be a fun place to take friends or out-of-towners once in a while, but I couldn't see myself going regularly. That said, one of the best things about The Aviary: If you'll never be able to afford dinner at Alinea & you've failed at scoring tickets to Next, this is a great opportunity to get a taste of the Grant Achatz experience. For about $20 you can enjoy a cocktail & amuse. Throw in another $20 or so and you'll get three bites of Grant-created/Grant-inspired food. No reservations or advance planning required. 1. Music was too loud. I have good hearing, but I could only talk to the friends sitting on either side of me because I would have had to shout. 2. Servers enter orders into an iPhone. While I appreciate that it's a high-tech way of entering orders, when you're talking to a server who's looking down at an iPhone, it comes across as, "I'm not really paying attention to you because I'm reading emails/poking people on FB/sending texts to friends." Spent a very enjoyable few hours at The Office last night . . .
We each had a couple of cocktails and they were delicious. Our favorites were the kirsch-cherry-Thai long peppercorn-Flemish ale and the bourbon-red pepper-guajillo-lemon-corn husk. The complexities and finish of the latter were particularly enticing. I'd never seen these before, so we tried them both. We both preferred the EHP, on the right. It was darker and had a deeper flavor. 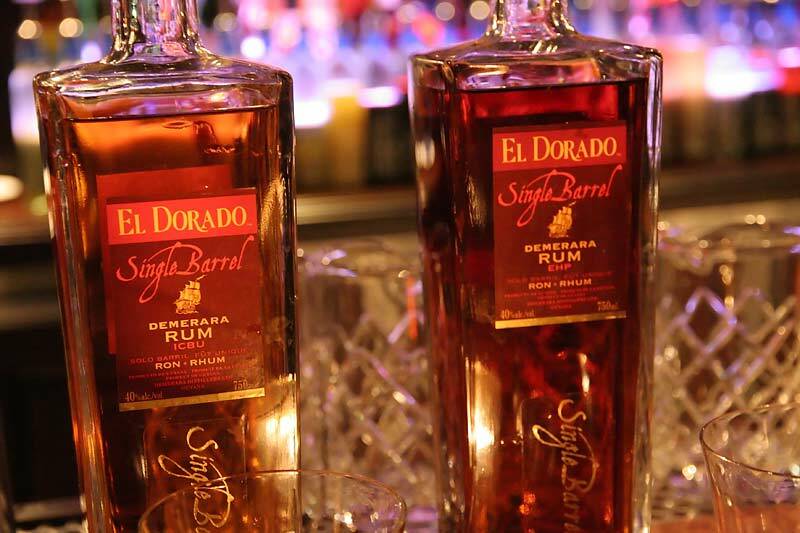 Neither label signified any specifics about the rums so I don't know how long they'd been aged or any other details. Still, it was fun to try something new. The Office is a beautiful space with a damned cool vibe to match. Service, needless to say, was awesome. We didn't eat, as we'd just come from dinner, but the decadant menu looks like a lot of fun, especially items like Creamed Morels and Foie Gras Terrine. There are only about 16 seats and I imagine they'll be in very high demand. I do hope to make it back there sometime soon and enjoy more of the cocktails and some of the food, too. After my dinner at Next, our server made arrangements for my party to get in at The Aviary next door. We secured a high-top (and amazed our server that we could all stand following all of the wine we drank during dinner) overlooking the kitchen. I think they had just expanded the menu as it included a large selection of beer, wine and spirits options, in addition to the 'bites' and cocktails as pictured upthread. I had a Manhattan, made with Rittenhouse 100 and it was very good. Unfortunately, the "twist" they went with really took away from the cocktail. This drink was served in a metal flask, lending a strong metallic flavor to the cocktail (hopefully this was not an intended addition to the flavor profile). Also, and this could have been my fault for holding on to the flask so much, but the drink warmed up pretty quickly. A tepid Manhattan is not so pleasant to drink. Lastly, the opening of the flask being pretty small, it was not easy to get a decent sip of the drink. I had meant to tell our server about my concerns but all that wine from dinner began to catch up to me and I stopped worrying so much about it. The other drinks my party got were all fine. Interesting, different and... fine. For the price, though, I'd rather go to Sable, Violet Hour, The Whistler, Drawing Room, etc. If I had someone visiting from out of town, I might go back if they were really excited about it but for me? I'll pass. When we left around 9:30 (on a Friday night) and didn't see more than 5-6 people outside. A note, too, about The Office. I asked our server about going down there and the manager explained that it was currently full and would probably remain so for a while. The Office doesn't open until 9pm and they had just started their first 'seating'. She did tell us that if we wanted to get in, our best bet would be to aim for much later in the evening, once that first group of reservations began to leave. No invitation necessary, then – just that we should inform our server at The Aviary and they would see what they could do. My friends saw that as a 100% blow off but I believed her! Danimal--I'm a bit surprised you didn't try the Scots Pine. Had it twice now, and am really starting to appreciate beer as a mixer. That one... isn't ringing a bell for me. What's in it? I think I wanted to try something "classic", to get an idea of how they can handle the basics. I was considering the Martini, but then they said how it's actually three different preparations and I lost interest. I'm willing to eat any piece of food that's been cooked in an unusual way, served in/on something unexpected, mixed with odd things, etc. but when it comes to drinks... I guess I just want something a little more tried and true (or, with the case of the Manhattan, something easy to drink from). It's made using this beer, I believe, as well as some yuzu, elderberry, egg white, and perhaps a couple things I was too fuzzy to recall. Like a thickened gruit beer with killer head retention and a restrained fruity sweetness, well-balanced by the pine. For me, it was a great way to import my preferred quaff into the otherwise alien world of cocktails. That has never stopped you before. I find it interesting that the beverage presentation seem to be more traditional than the offerings upstairs. yellow truffle wrote: I find it interesting that the beverage presentation seem to be more traditional than the offerings upstairs. Much more and from what I've read and heard, that's more or less the point...kind of the anti-Aviary. Much to my surprise, it looks like you can actually get a glass of that 1940 Green Chartreuse I mentioned upthread...for $450. Intriguing, nonetheless. I'm firmly in the camp that believes this is one spirit that evolves (and often improves) in the bottle. Ronnie, you need to negotiate and organize an LTH outing to the Office! When at the Office last week, the server mentioned that they actually sold a glass of one of the old Chartreuses, much to her surprise. My wife and I had a great time at The Aviary on Friday night. We six drinks - all of which were interesting and tasted great. The highlights were the truffle, which is a negroni infused with truffle; Bitter, which is a cognac-based drink served in glass that is first "rinced" over a charred piece of bourbon barrel; and Ginger. We also had a few of the little bites. Our server was helpful and friendly. The vibe in the place was nice - in fact, it didn't seem clubby or stuffy. That may be because they had the side doors open, though. The server offered that we could keep a menu at the table. Surprisingly, there wasn't a line to get in on a Friday night. After the change in days from Wednesday - Sunday to now Tuesday - Saturday, and hearing no line on a Friday night (although you didn't specify the time), I wonder how they are doing business wise. TCK wrote: After the change in days from Wednesday - Sunday to now Tuesday - Saturday, and hearing no line on a Friday night (although you didn't specify the time), I wonder how they are doing business wise. We had an 8:30pm reservation (they offered 6pm, 8:30pm, and 11pm reservations on Friday) and left around 11pm or a little later. We were *very* surprised that there wasn't a line. It's relatively easy to get into the Aviary, including for the kitchen table, depending on the time of the day. A small line (less than 10) is often formed around 10:30pm. I think they're doing quite well (as a business) for a cocktail lounge compared to those that I have been too. I was at the kitchen table on a Sunday and the staff didn't seem to have a minute to rest. When does this place close? 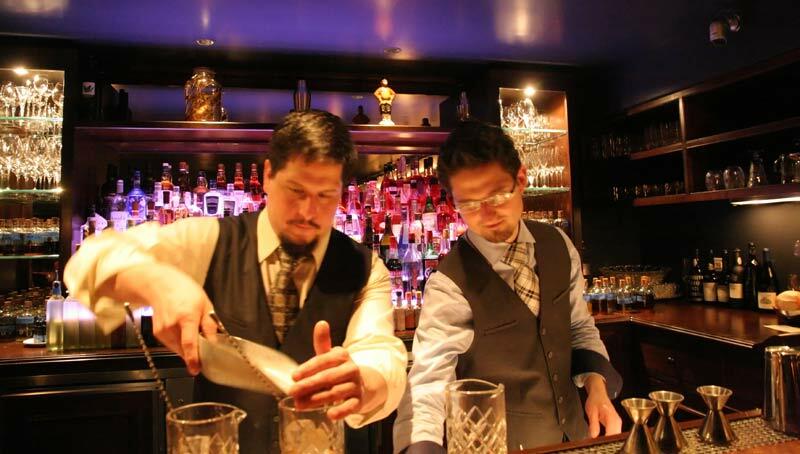 Mention it at Alinea that you are interested in stoping by the Aviary for drinks afterwords. When we dined there, they called to let the Aviary know we were heading there before we were done with dinner! I have a strong hunch this^ is in partly why Aviary exists (and sort of what leaves a bad taste in my mouth, so to speak). It's the ultimate upsell after Next (let alone after Alinea, which needs no upsell), the bar as destination with no reservations that's dangled out as a pricey but tantalizing chaser. It's the edible equivalent of exiting through the gift shop. Vitesse98 wrote: It's the edible equivalent of exiting through the gift shop. I'm sorry, but that's ridiculous. ETA - I've never been "solicited" to go to Aviary after eating at Next. If you ask, they accommodate but I consider that courteous more than forcing an upsell on you. If they really wanted to upsell you, when they saw you were done with your meal the server would approach and say something like "and would you be interested in a table at Aviary?" or something like that. Instead, they ask if you used the valet. Again, not every place is for everyone. Sure, that's fair. I didn't mean they literally, explicitly sold it to customers as a premium. But just as the excitement surrounding Next guarantees sell outs for the foreseeable future, so will the very presence of Aviary - by the people who do Next! and Alinea! and the secret bar downstairs! - attract a certain amount of "well, it's right there ... " business. Or maybe it was meant to. If anything, I bet the no reservation policy at Aviary was designed to prime/promote that same degree of Next-like excitement, but perhaps maybe it hasn't, which would unbalance the system, as such. If you could not get into Aviary without a long wait, then you might be more likely to go to Aviary after dining at Next, no? But anecdotally Aviary business does not appear to be booming, at least not at Next levels. This is all conjecture on my part, of course. But just because Next doesn't offer it explicitly doesn't make the offer any less implicit. Many know you can get into Aviary without a wait after dining at Next with it being overtly advertised, just as many know you can upgrade your drink service at Next without being told you can. I'd be curious to learn how much of Aviary's business is walk up vs. walk through, as the case may be. As you noted, it actually isn't that hard to get into The Aviary. And the no-reservations policy is standard for bars, right? The Aviary actually does take some reservations, of course. Vitesse98 wrote: I have a strong hunch this^ is in partly why Aviary exists (and sort of what leaves a bad taste in my mouth, so to speak). 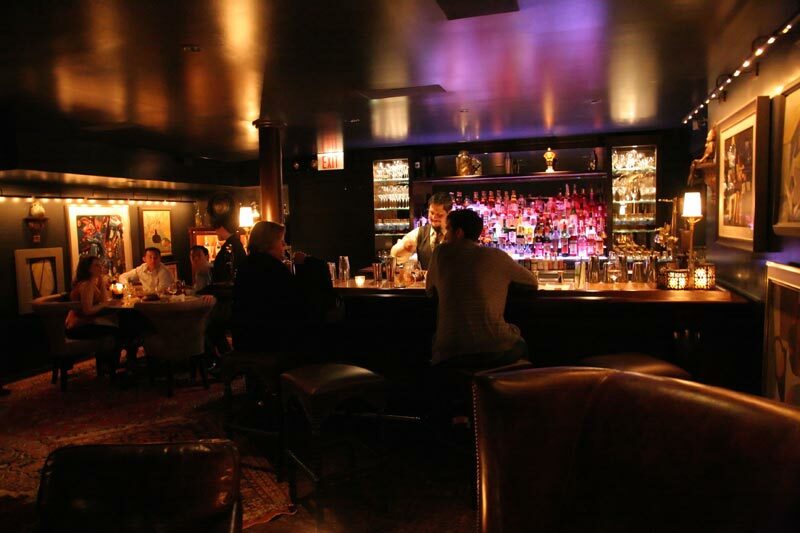 It's the ultimate upsell after Next (let alone after Alinea, which needs no upsell), the bar as destination with no reservations that's dangled out as a pricey but tantalizing chaser. It's the edible equivalent of exiting through the gift shop. I don't understand why you referred to my post. claypoolfan expressed an interest of going to have a drink at The Aviary after Alinea, and wondered if the wait there is long. I just simply said that the Alinea staff can help. This applies to most restaurant/bar groups. If you dine in one venue, it maybe easier to get a seat afterward at another venue from the same family. Or in the other word, I just confirmed the obvious. And referring to your other comments, what would have been done differently (to make it "right")? Open The Aviary somewhere far away from either Next or Alinea? Do not accept reservations through Alinea/Next? Do not open The Office? Not really in my place to say what's right or wrong about Aviary, but I do question the wisdom and/or logic of opening it at exactly the same time and place as Next, which has become a phenomenon while Aviary by many accounts has not. My only hypothesis was that the Next folks hoped or planned that spillover from Next would be enough to keep excitement levels high (and generate more revenue), but perhaps it has not. Next/Aviary may be a restaurant/bar pair, but Aviary is no more a traditional bar than Next is a traditional restaurant. The menu is in many ways as set as Next; they don't mix drinks to order. The prices are high. The drinks themselves are more elaborate. The whole experience seems much more elaborate, and requires more commitment (time/money) on the part of the customer than 95% of bars. Then the Office opens (or "opens") on top of that and it suddenly seems like a glut of indulgences at that particular corner, none particularly symbiotic in terms of operation or theme, yet two of the three conspicuous for their relative exclusivity and/or inaccessibility and one oddly/apparently not. Just seems like a miscalculation on their part is all. The reference to your post, btw, was mostly that it was the latest of several that noted either no waits or going to Aviary post dinner. Which makes me wonder, again, how much of their traffic is walk-up vs. via Next. Which I can again only hypothesize may ultimately determine the fate of Aviary. Nothing personal. I love reading all these reactions, especially since this thread is one of the few to keep this topic category from going fallow! Vitesse98 wrote: I'd be curious to learn how much of Aviary's business is walk up vs. walk through, as the case may be. I'd be curious to learn how much of the Aviary's business is people who are going just so they can try to get into the Office. 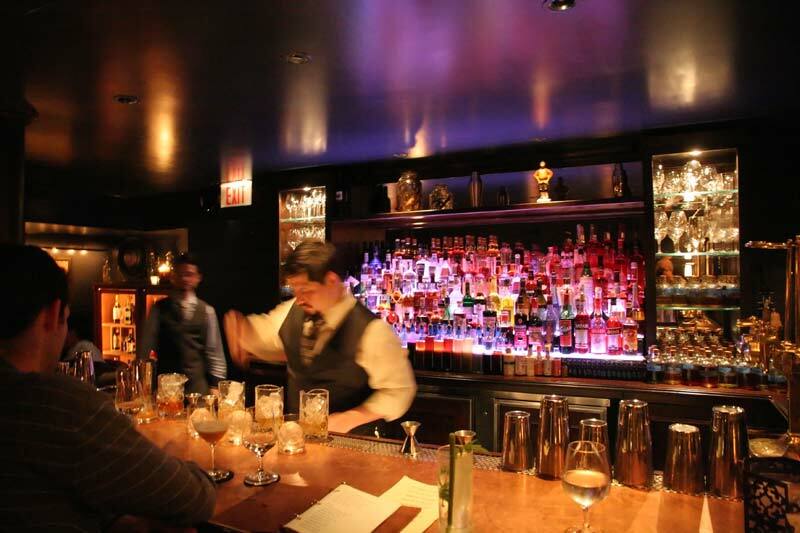 The Aviary and The Drawing room have the best cocktails in Chicago (in my opinion), I am sure that most people go there just because it is a good and fun place to get a cocktail.